using the '-T' option on the command line. * New -w switch: Path to WAD File. 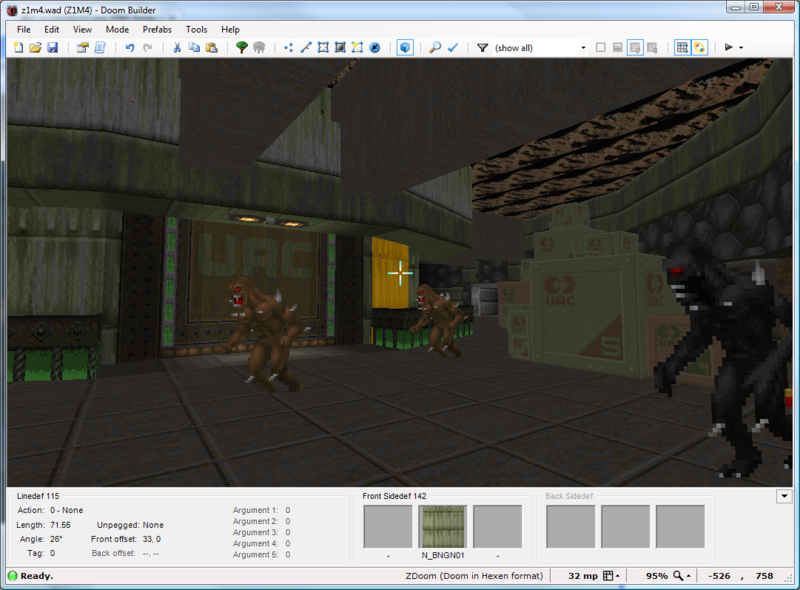 New Version of a Doom graphix editor. by DOOM, or cause it to abort. To remove a graphic from the PWAD, use the '-r' option. For the PWAD to work correctly, the filename must end with .WAD. Input graphics should have a resolution of 320x200 or less. Placement of the graphic can be adjusted with the '-i' option. Please be sure to have a backup copy of the original DOOM WAD data.